When renovating, one of the biggest problems you may face is knowing what to do with excess waste. Clearly that amount of rubbish isn’t going to fit in your weekly council waste bin! Knowing what to do with the aftermath of a demolition or the excess packaging that comes with new hardware can pose a problem in itself. That’s why we’re here to help you with your renovation waste disposal! 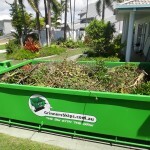 GrinnersSkips are the experts in waste management in Townsville. Our years of experience managing residential and commercial waste means no job is too big or small. 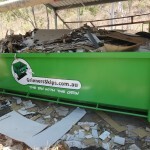 In Townsville, when renovating, you’re going to need a skip bin for starters. 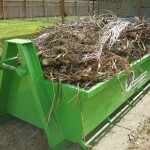 This helps you remove waste from your worksite, so you can quickly get on with the job. Renovating can be stressful and usually comes with strict deadlines so the trades can work together to finish their jobs on time. Plan ahead and hire experts like us to help you achieve seamless waste removal. Did you know plenty of your waste can be recycled or upcycled? If you haven’t heard of upcycling, it’s the great new method of turning old things into new. As the saying goes “one person’s trash is another man’s treasure”! We specialise in recycling and upcycling, so speak with us today. Obviously not everything can be disposed of easily, and unfortunately we can’t accept things like asbestos, batteries, explosives, gas bottles, paint, tyres and the like. These things have their own specialised method for disposal and because we care about the environment and keeping it as healthy as possible for generations to come, we will be pleased to point you in the right direction about disposal of these “tricky” types of waste. 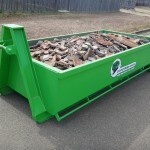 GrinnersSkips are the professionals when it comes to skip hire in Townsville. Contact us to discuss your upcoming renovation – we’re here to help!